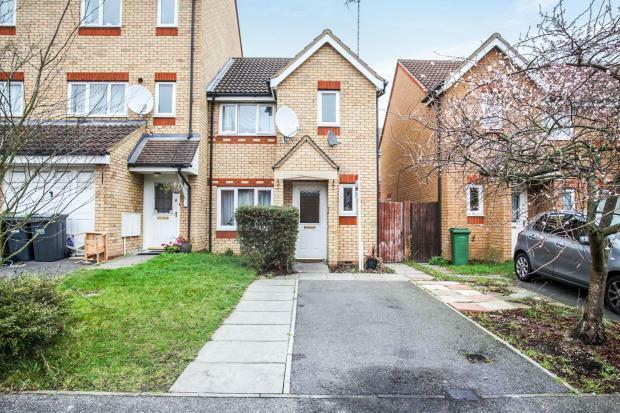 3 Bedroom End of Terrace House For Sale in Luton for Offers Over £240,000. Ideally located in the popular Dallow area and positioned in a quiet cul de sac is this chain free family home. With its close proximately to town centre, mainline train station a fraction over 25 minutes walk away that offers direct trains to London in under 30 minutes this is ideal for all purchasers. Internally the property offers versatile living accommodation with the ground floor benefiting from a good sized living room, modern kitchen/diner with direct access to the rear garden, separate dining room and a downstairs WC. The first floor has three bedrooms with the master bedroom benefiting from an en suite shower room and a separate family bathroom. Externally to the front is a driveway and to the rear a generous garden. This is a must view property for anybody looking within this budget and one not to miss.